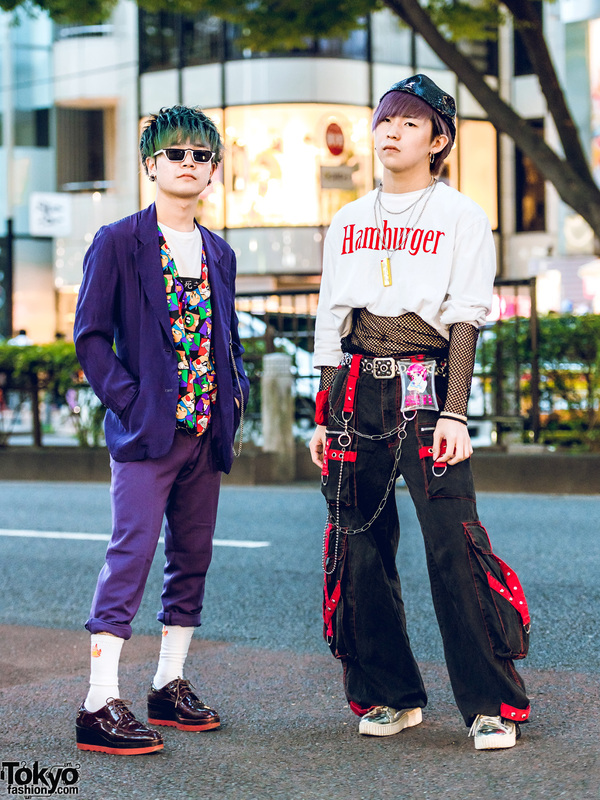 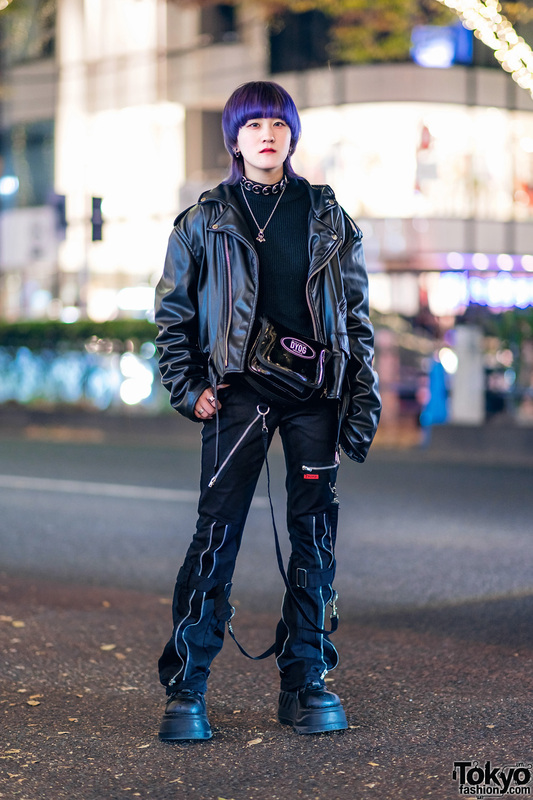 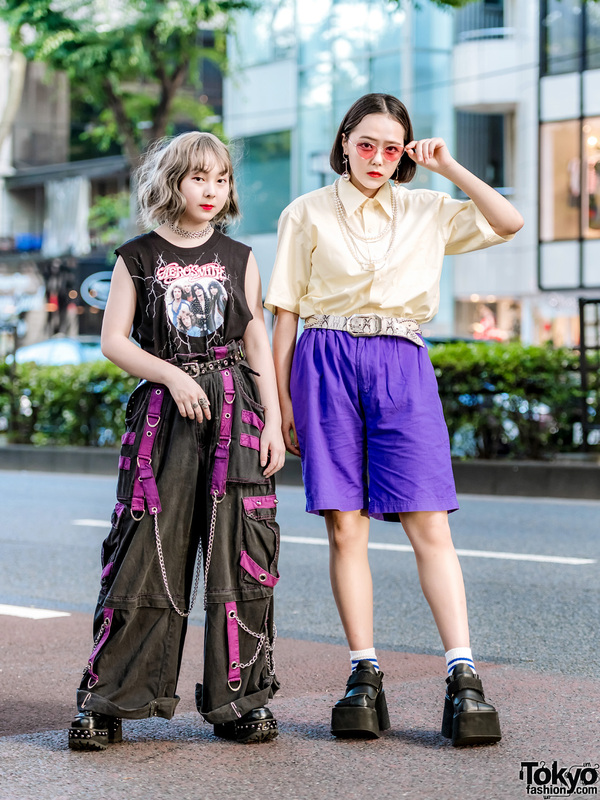 Japanese students showcasing all-black and vintage street styles in Harajuku. 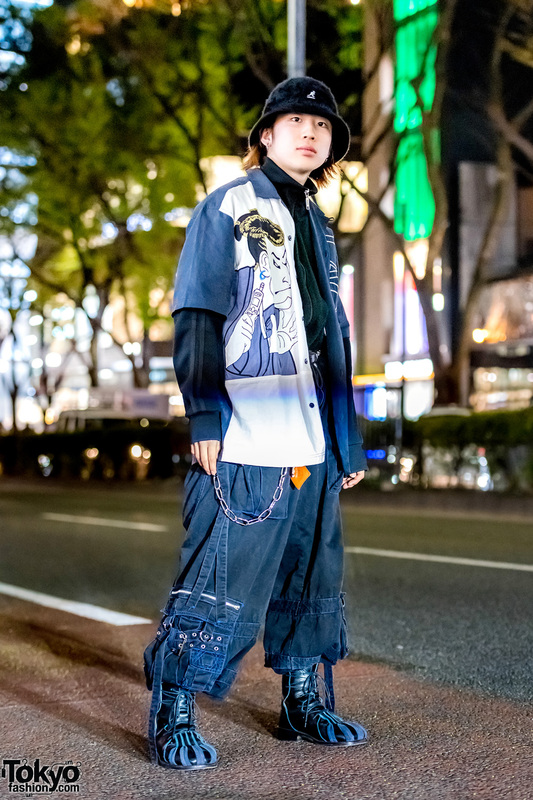 Harajuku guy sporting a newsboy cap, white shirt, drawstring pants, boots & chest bag. 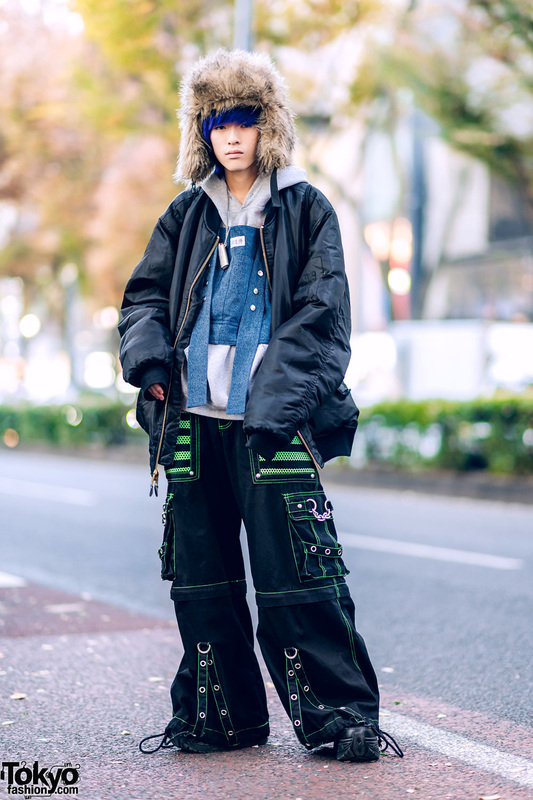 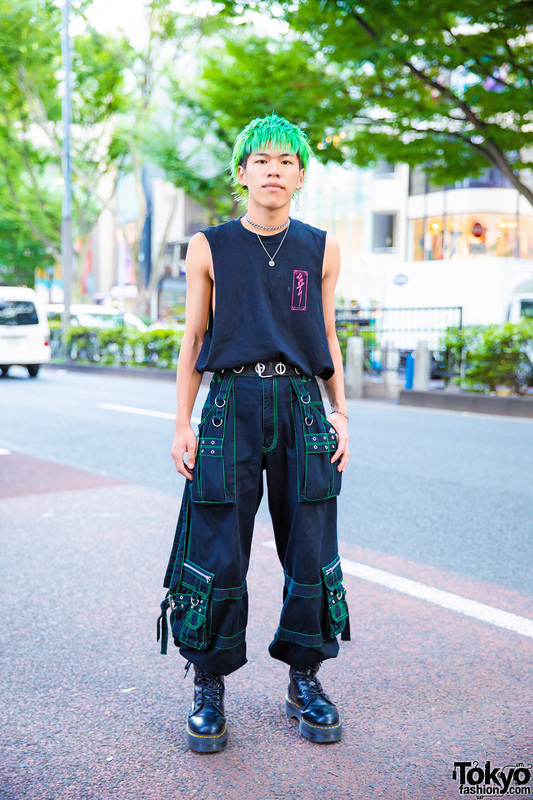 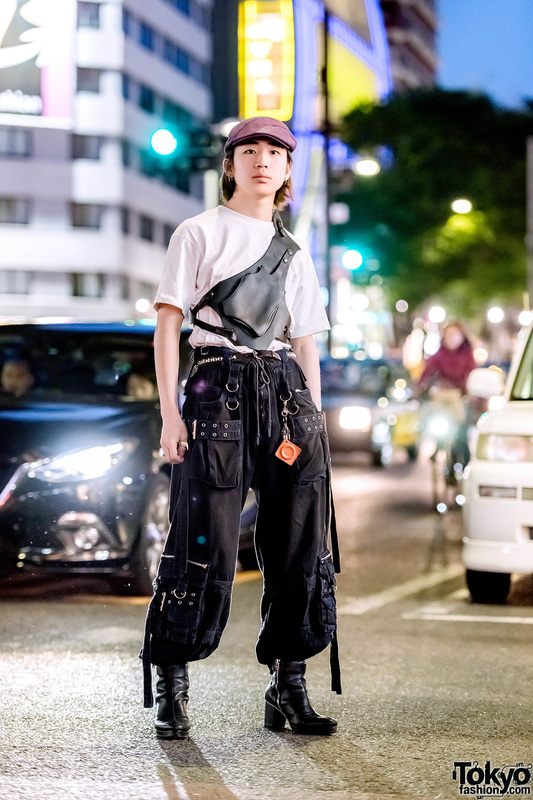 Harajuku guy dressed in layered tops, baggy cargo pants, cutout boots and a fuzzy bucket hat. 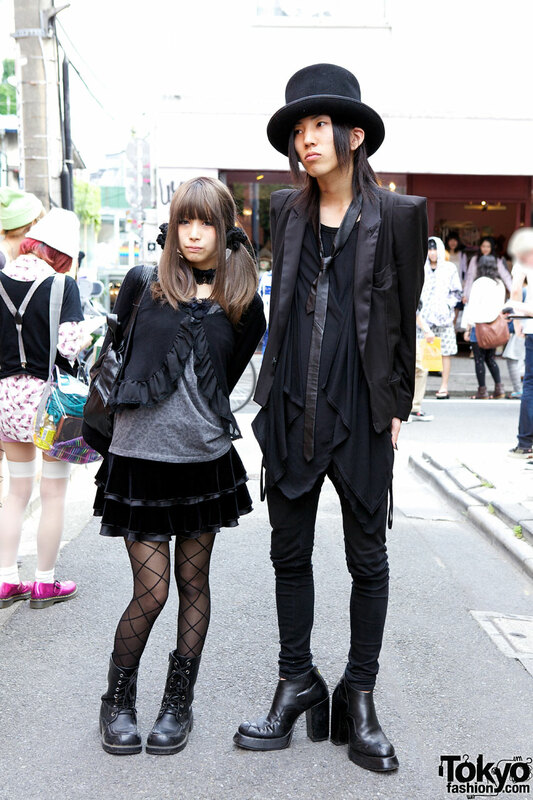 Goth guy in top hat and Shinya Yamaguhi high heel boots and girl in ruffled jacket and velvet skirt.